Organizers of this summer’s inaugural LA Fleet Week 2016 are in full planning mode for the week-long call of U.S. Navy ships on the LA Waterfront in the days leading up to and including Labor Day Weekend. Friday September 2, through Monday September 5, big crowds are expected to converge at the Port of Los Angeles World Cruise Center for Naval vessel ship tours and a variety of exhibits and activities along the main channel that will bring together the public and more than 1,500 military personnel descending on the nation’s largest trade gateway for the end-of-summer celebration. Arleigh Burke-class guided-missile destroyer USS Oscar Austin (DDG 79) departed Naval Station Norfolk Nov. 21 for a deployment to the U.S. 6th Fleet area of responsibility (AOR). The ship will conduct maritime security operations and provide theater security cooperation efforts within the AOR. Oscar Austin will deploy with ScanEagle, an unmanned air vehicle (UAV) designed to provide real-time, low-altitude reconnaissance. The crew recently participated in Baltic Operations 2014, a multinational exercise in the Baltic Sea. 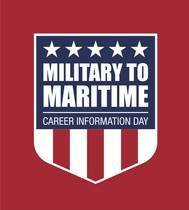 More than 400 veterans attended a Military2Maritime career fair this week sponsored by the American Maritime Partnership (AMP), the voice of the domestic maritime industry. The event was hosted by the Port of Houston and is part of a national program to help connect the nation’s servicemen and women with jobs in the American maritime industry that support families and build communities. The domestic maritime industry’s goal is to provide the more than 720,000 servicemen and women out of work with an opportunity to maximize their professional strengths. Robert J. Flynn Elected Chairman of the Board. ADM Thad Allen and Clay Maitland among an impressive slate of of 11 others. The Coast Guard Foundation, a non-profit organization committed to the education, welfare and morale of all Coast Guard members and their families, announced today that in accordance with its bylaws, a new slate of officers has been elected to serve on the Board of Trustees, beginning January 1, 2012. 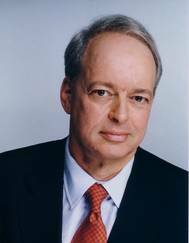 Robert J. Flynn was elected Chairman of the Board at the organization’s annual meeting in the fall. 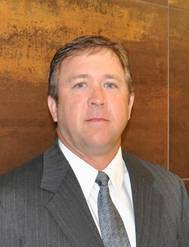 Joining Mr. Flynn as officers are Al J. Bernard, vice chairman; William E.
MSHIP to Team with Huntington Ingalls Industries' subsidiary, AMSEC LLC. under U.S. Navy's SEAPORT-E Electronic Procurement Program. 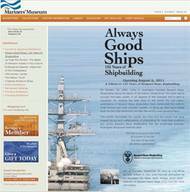 M Ship Co., LLC of San Diego, is pleased to announce that it has been awarded acceptance as a subcontractor of Huntington Ingalls Industries’ subsidiary, AMSEC LLC, under U.S. Navy’s SeaPort Enhanced (SeaPort-e) electronic procurement program providing naval architecture and marine engineering services. SeaPort-e enables electronic procurement of support services in 22 functional areas including engineering, financial management and program management. Huntington Ingalls Industries announced today that its Newport News Shipbuilding (NNS) division has partnered with The Mariners' Museum to share the shipyard's history through a collection of 51 photographs. The exhibit, named "Always Good Ships," will be open to the public Aug. 6 through Oct. 31. "We are excited to partner with The Mariners' Museum to recognize our shipbuilders and the important role they play in our community and in the security of our nation," said Matt Mulherin, president of NNS. Four students from very diverse backgrounds each got a chance to attend the Maritime Studies Program of Williams College and Mystic Seaport, thanks in part to Thomas B. Crowley Sr. scholarships. Crowley Maritime Corporation awarded scholarships to Virginia Steiner, Morgan Wilson, Hannah Holland and Caroline Crowell during the 2009-2010 academic year. 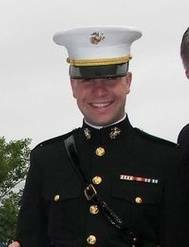 Steiner, a history major from Mount Saint Mary College, currently works at the Mystic Seaport Museum as a historical interpreter, is a member of their demonstration squad and the Anchor Watch educational program.